(CNN) - Conservative commentator and author Dinesh D'Souza has pleaded guilty to violating federal campaign finance law, prosecutors said on Tuesday. D'Souza, 53, of San Diego, admitted to exceeding donor limits in 2012 by arranging for others to give to the New York Senate campaign of Wendy Long. He also admitted to making false statements about those donations, the office Manhattan U.S. Attorney Preet Bharara said. According to the indictment, D’Souza and his wife contributed $10,000 to Long's campaign. He then directed associates to contribute on behalf of themselves and their spouses, totaling $20,000. D'Souza was to reimburse them. Federal election law limits individual campaign contributions to a federal candidate to $2,500 each for a primary and general election campaign. The law also bars any person from making contributions in the name of others or reimbursing another person's contribution. A noted conservative activist, D'Souza is a former policy adviser to President Ronald Reagan. He also directed a 2012 documentary, "2016: Obama's America," that was highly critical of President Barack Obama and based on his book "The Roots of Obama's Rage." Long lost to Democratic incumbent Kirsten Gillibrand in 2012. She and other Republicans, like Sen. Ted Cruz, have argued the government is unfairly targeting D'Souza for his political affiliation. D'Souza argued for the charges to be dismissed on grounds of selective prosecution. Last week, a judge denied that motion, citing "no evidence" to support it. “Following the court's ruling denying Dinesh D'Souza's baseless claim of selective prosecution, D'Souza now has admitted, through his guilty plea, what we have asserted all along – that he knowingly and intentionally violated federal election laws," Bharara said in a statement. 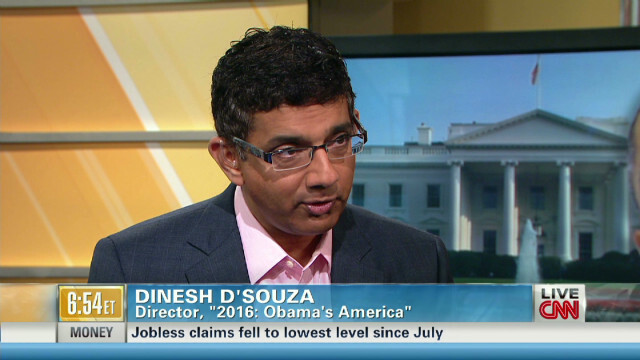 D’Souza faces a maximum of two years in prison. 2 years, one day at a time is a long time. If he actually serves it. Throw the book at this GOP CLOWN and CROOK. Obama playing Chicago politics again... Don't dare criticize Obama. No surprise here. Guns Over People teatards involved,ALWAYS follow the money. They hate the IRS because they follow the money. When the feds started looking at this guy the rightwingers defended him as an innocent man, and slammed the President for using his office to get back at his enemies, and the dirtbag desouza threw everyone of them under the bus by pleading guilty to the charges rush hannity,laura,and everyone on fox who defended this liar should be ashamed but they have none this is just a continuous chorus of lies coming from the right, and the American people is catching on. Scandal Scandal Scandal. The right has there fake Benghazi scandal. Time to yell D'SOUZA D'SOUZA D'SOUZA from the top of your lungs. So this idiot is a conservative guy? What a nonsense brain....dingbat. Amy, didn't you mean to add, While trying to get the RAT out of Democrat? Wow, this name-calling is a fun game! Truly DemocRATic in that everyone with something snide to say can play! I CONgRATulate CNN for keeping the CONversation courteous! Another convicted felony will try to tell us of how to vote...lol. "D'Souza now has admitted, through his guilty plea, what we have asserted all along – that he knowingly and intentionally violated federal election laws," Bharara said in a statement."